.Open the L.O.Calc. Open your student template . Open the sheet 7.1 Estudi gràfic de funcions matemàtiques. 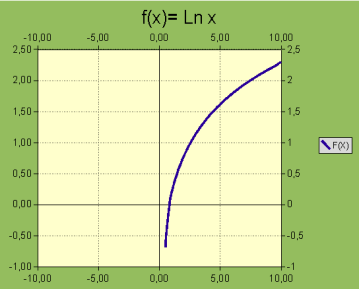 We are going to make a chart representing the function f (x) = Ax² + Bx + C.
Merge the cells B3, and C3. Write in B3:C3 the text taula de dades. Fill the X column (column B) with values ​​from -10 to 10 with in intervals of 0.5 (in total you have to fill 41 cells). You aren't supposed to type the values. Create a series:​​. Prepare in E4:G5 the the table of coefficients A, B and C as shown in the image below. 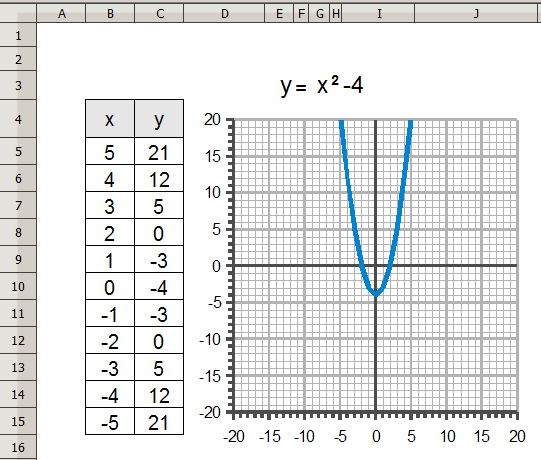 Place the cursor in C5 and write the formula = A * X ^ 2 + B * X + C. Keep in mind that X, A, B and C refer to the data areas that you have defined before, and Calc will replace them with their corresponding reference. 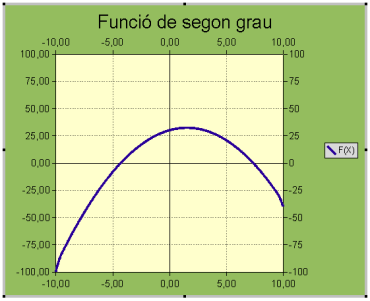 In the fourth step, Elements del diagrama, write the title of the diagram: Funció de segon grau and click on finalitza. Changing the values of A, B and C, we can see the different possible behavior of second degree functions. Take advantage of the spreadsheet to represent other types of functions. 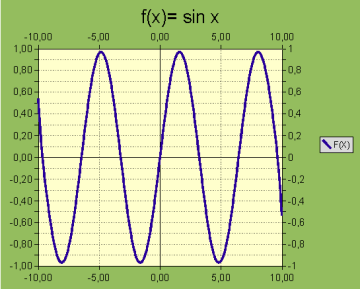 It will be necessary to vary some of the conditions of the axis scales and, of course, the formula that calculates the value of the function. 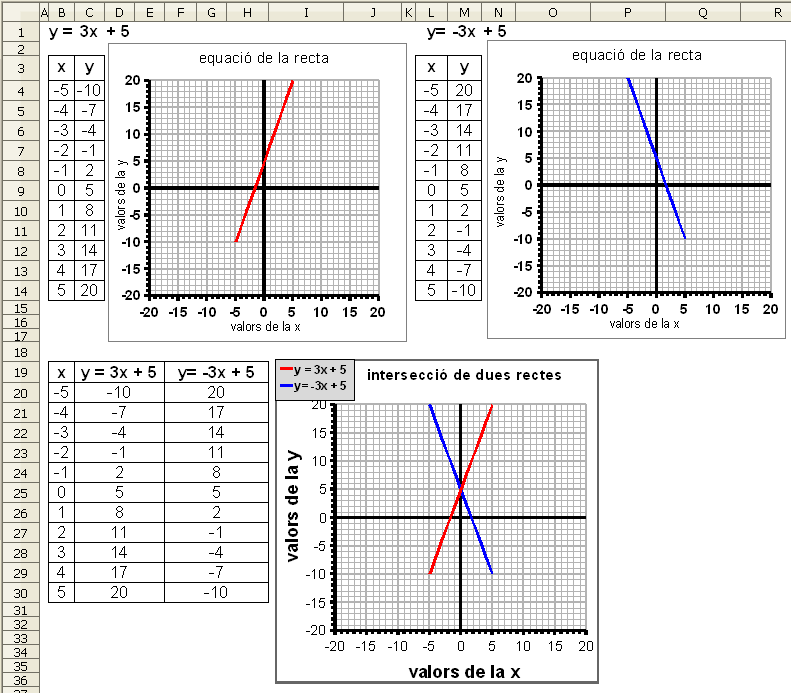 To make each of these four charts, use the sheets 7.4, 7.5, 7.6, 7.7. Save the document using the save button or Archivo | guardar. Never use Save as (archivo | guardar como ) otherwise the previous versions in your document will be lost. Save a version after finishing each chart and call them 7.4,7.5, 7.6, 7.7.